Look at the average American diet: ice cream, butter, cheese, whole milk, all this fat. People don’t realize how much of this stuff you get by the end of the day. High blood pressure is from all this high-fat eating. 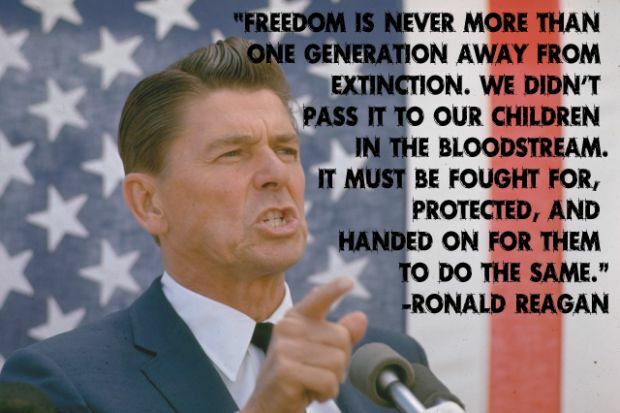 Saluting all those who gave their lives to our country and for our freedom in America Thank You! David Suzuki (born March 24, 1936 is a Canadian academic, science broadcaster and environmental activist. An eye opener on Heart Disease that should be rare & cured. It is still the number one killer even greater than cancer in both men and women today. This disease should be rare do to a lot of cardiac disease is inflicted upon humans through being overweight through just bad healthy habits practiced. Obesity can cause diabetes II, heart disease, high blood pressure, and more. High blood pressure is called the “silent killer” because it often has no warning signs or symptoms, and many people don’t realize they have it. That’s why it’s important to get your blood pressure checked regularly. The good news is that you can take steps to prevent high blood pressure, or to treat it if it is already high. What we can do is make some changes in our living. We westerners create an increase in diabetes, heart disease and some cancers. 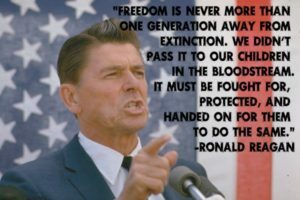 AMERICA WE NEED TO WAKE UP AND MAKE A CHANGE. TO THE MAIN CULPRITES we are talking about sugars and fat (OUR DIET). GLUCOSE and LIPIDS!. The typical American diet is consisted and loaded with sugar and fats. Lack of exercise and stress doesn’t help the situation. Get peace of mind through again making changes in your life if you are striving to become healthier. Let’s look at cholesterol = 2 types HDL and LDL. LDL is the bad cholesterol. Know if your LDL is type A or type B. If you have a high HDL level and a low LDL that is good but ask your doctor to see if you can get a blood test checking both type A and type B of your cholesterol that will give you the knowledge if you need to take an action. Go to CDC.org to see the different number ranges of both men and women on their levels and more. Just knowing your cholesterol level isn’t enough but does give the doctor some direction. Knowing if your type A or type B LDL helps even more with knowing your risk of heart disease. 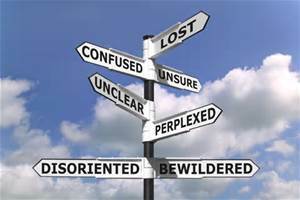 Cholesterol only becomes a problem if the LDL gets too high with high pattern type B which is worse with stress and smoking and processed foods in high amounts eaten. Particles called lipoproteins carry cholesterol in the blood. There are two kinds of lipoproteins you need to know about: LDL and HDL. The plasma lipoprotein particles classified under high-density (HDL) and low-density (LDL) lipoproteins enable fats to be carried in the blood stream. -Low-density lipoproteins (LDL) cholesterol make up the majority of the body’s cholesterol. LDL is known as “bad” cholesterol because having high levels can lead to a buildup in the arteries and result in heart disease. -High-density lipoproteins (HDL) cholesterol absorb cholesterol and carry it back to the liver, which flushes it from the body. High levels of HDL, or “good” cholesterol, reduce the risk of heart disease and stroke. Apolipoprotein A1 (apoA1) is the major protein of high-density lipoprotein (HDL), and apoB is among the major proteins of very low-, low- (LDL), and intermediate-density lipoproteins. Because of their associations with the respective lipoproteins, apoA1 is inversely and apoB is positively associated with cardiovascular risk (2). In fact, evidence suggests that apoA1 and apoB are better predictors of heart disease risk than are HDL and LDL cholesterol levels (3-5). Apolipoproteins may also offer advantages over lipoprotein cholesterol measurements because they are direct measurements, whereas LDL, for example, is calculated from other lipoproteins from a fasting blood sample. You can take several steps to maintain a normal cholesterol level. Heart disease what is it? Your arteries can get stretched in high blood pressure and it puts the arteries at risk for an auto immune response which allows LDL particles to go in these stretched out areas causing build up of bad cholesterol in the arteries and imbeds fat causing the placque build up = narrowing of the arteries. We need to reduce inflammation in the arteries. 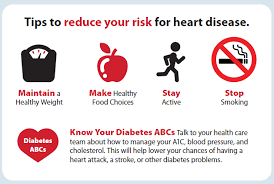 To prevent, reduce, and treat heart disease if already diagnosed with. Reduce all sugars, cut back on fatty foods, exercise daily, increase of your whole grains, fresh fruits, and vegetables. We need to use all 4 food groups but eat the healthy ones in the right portions. Which I can provide to you later how to go about this. In the United States, the most common type of heart disease is coronary artery disease (CAD), which leads many to heart attacks. You can greatly reduce your risk for CAD through lifestyle changes and, in some cases, medication. CAD consists of cholesterol and placque build up, even tar if a smoker, that can be deadly in time with blocking the arteries called atherosclerosis. This in time left untreated can lead to a heart attack or even silent heart attack. 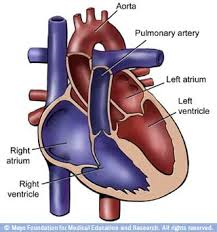 CAD also is the brittling of the arteries causing narrowing of the arteries called arteriosclerosis. Here it is the ending result is the blood supply is affected in not getting enough oxygen throughout our body to our tissues. Coronary artery disease can cause a heart attack. If you have a heart attack, you are more likely to survive if you know the signs and symptoms, call 9-1-1 immediately, and get to a hospital quickly. People who have had a heart attack can also reduce the risk of future heart attacks or strokes by making lifestyle changes and taking medication. Don’t put off the chest pain or discomfort in the chest or pain down the L arm for if your right you want to prevent the heart attack before it occurs and if you already had an attack the sooner treated the better. Reperfusion of blood to the heart is the KEY in treatment. Chest pain to the heart is lack of oxygen getting to the heart tissue=ischemia. We alone can’t treat it but we can prevent it before CAD even sets in through good health practices daily, healthy dieting daily and balancing rest with exercise daily. Look at our diet alone in America: Take the elements that are in our food=Sugars or Carbohydrates or Fats. Simple CHO likes bread, rice, pasta along with fats and complex sugars all convert to simple sugars in the stomach and when it goes through digestion and the simple sugar reaches the blood stream filling it up with sugar which first does get utilized to our tissues and cells but if still extra sugar in the blood stream that sugar has to go somewhere which is by filling up the liver with it. In the liver the glucose gets converted from active sugar=glucose to glycogen=inactive sugar that stores in this organ. This is so if and when the body needs extra sugar for energy in our body and we don’t eat the inactive glucose glycogen will get released back into the blood stream and change to glucose and be used. Since we eat so much in America it usually isn’t the case. Obesity is so large in our country and this is why. When it reaches full and can’t store anymore still this glucose extra glucose in the blood stream has to go somewhere. So now the glucose gets stored in our fatty tissue=weight gain. This is what you see with eating through on a regular basis day in & day out too much food compared to the activity or exercise you get for the day. If no daily exercise then your fat storage build up is high=weight gain. Why National Elder Well Being month is so vital to address! May is a month with several health topics and one of those topics covers awareness on elder’s well being. Why some may even not realizing how significantly important this is to address in thinking should this even be addressed? YES is the answer to anyone in this world who thinks that question and here is the reason why. This was developed in 1963 for the purpose of professional development opportunities for community, hospital and residential services. Its focus is on those resources that are specifically concerned with older people’s mental health and wellbeing and those resources that are generally accessible on a statewide basis. The government even is involved that developed a program called a “Wellbeing in Later Life” with one major aspect on covering 1. )the understanding of anxiety and depression 2.) strategies to help manage core symptoms 3. )practical skills to practice each week to help recovery 4.) stories about how others have applied the skills to help them recover; which is one small area of what this covers with much more. Regarding the global trend in particular on elders with health promoting their age it is predicted the amount of elders is considerably increasing from decades back. The global population is ageing at a rapid rate. In 1950, just over five percent of the world’s population was 65 years or older. By 2006, that number had jumped to eight percent. By 2030, experts anticipate that older adults will comprise 13 percent of the total population—one in eight people will be 65 or older. While developing countries will experience the most rapid growth in ageing, with increases of up to 140 percent, developed countries will experience increases averaging 51 percent. (Women, who tend to outlive men, will comprise the bulk of the older adult population.) Simultaneously, overall population is declining in many countries due to low fertility rates, HIV/AIDS, and international migration. The United Nations estimates that the number of adults 60 years and older will outnumber children under the age of 15—an historical first—by 2045. Not only is the world ageing, but it is also ageing differently. Life expectancy is increasing, with people 85 years and older—especially women—comprising the fa stest growing segment of the population in many countries. Notable exceptions include South Africa, where life expectancy dropped from 60 to 43 years in the last decade, primarily due to HIV/AIDS. Globally, more people are dying from non-communicable diseases and chronic, degenerative conditions than from infectious and parasitic diseases, a trend expected to grow in the next couple of decades. (Whether increased life expectancy will be associated with increases or decreases in disability status remains an open question.) At the same time, communicable diseases—especially HIV/AIDS—remain prevalent, particularly in low- and middle-income countries. In considering the benefits and consequences of population ageing, therefore, it is essential to consider not only longevity but also healthy life expectancy, or expected years of life free of illness, disease, and disability. Looking at older adults (elders 65 and older)-Although older adults serve as essential resources to their communities, they face a great risk of marginalization. Older adults often experience both social de-evaluation and poverty upon leaving the labor market; financial market fluctuations contribute to income and social insecurity regardless of employment history, especially in countries with developing and transitioning economies. Groups particularly vulnerable to poverty and social devaluation in old age, due to cultural and institutional biases which affect people throughout the lifespan, include women, people with disabilities, people with a migration background, and people who do not belong to the majority racial or ethnic group of any given society. Moreover, older adults seeking support to maintain independence and quality of life frequently encounter either a lack of social services, especially in rural and remote areas, or services that are poor in quality or unresponsive to linguistic and cultural diversity. Participation of older adults in societal development enhances the well-being both of older adults and of communities as a whole and depends on multiple factors. Accordingly, the rising proportion of older people is placing upward concerns & pressure on overall health care spending in the developed world, although other factors such as income growth and advances in the technological capabilities of medicine generally play a much larger role. Relatively little is known about aging and health care costs in the developing world. Many developing nations are just now establishing baseline estimates of the prevalence and incidence of various diseases and conditions. Initial findings from the WHO SAGE project, which provides data on blood pressure among women in six developing countries, show an upward trend by age in the percentage of women with moderate or severe hypertension, although the patterns and age-specific levels of hypertension vary among the countries. If rising hypertension rates in those populations are not adequately addressed, the resulting high rates of cerebrovascular (CVA-stroke) and cardiovascular disease are likely to require costly medical treatments that might have been avoided with antihypertensive therapies costing just a few cents per day per patient. Early detection and effective management of risk factors such as hypertension—and other important conditions such as diabetes, which can greatly complicate the treatment of cardiovascular disease—in developing countries can be inexpensive and effective ways of controlling future health care costs. In high-income countries, heart disease, stroke, and cancer have long been the leading contributors to the overall disease burden. The burden from these and other chronic and non-communicable diseases is increasing in middle- and low-income countries as well. To gauge the economic impact of shifting disease profiles in developing countries, the World Health Organization (WHO) estimated the loss of economic output associated with chronic disease in 23 low- and middle-income nations, which together account for about 80 percent of the total chronic disease mortality in the developing world. Largely because of global aging, the incidence of cancer is expected to accelerate in coming decades. The annual number of new cancer cases is projected to rise to 17 million by 2020, and reach 27 million by 2030. A growing proportion of the global total will be found in the less developed world, and by 2020, almost half of the world’s new cases will occur in Asia. So regarding anyone who may have questioned today or at another time why is elder health important I think after reading this you would see why. The more unhealthy an elder person is in large populations the highier the cost of health living in communities. So if people stay healthy from childhood to geriatric age the less health problems we will have. National elder well being is a prime concern to be addressed and dealt with. Lupus is an inflammatory disease that is caused when the auto, meaning “self”, immune system attacks its own tissues. Lupus is a chronic, an autoimmune disease that can damage any part of the body (skin, joints, and/or organs inside the body). Chronic means that the signs and symptoms tend to last longer than six weeks and often for many years. In lupus, something goes wrong with your immune system, which is the part of the body that fights off viruses, bacteria, and germs (“foreign invaders,” like the flu). Normally our immune system produces proteins called antibodies that protect the body from these invaders. Your autoimmune immune system cannot tell the difference between these foreign invaders and your body’s healthy tissues and creates auto-antibodies that attack and destroy healthy tissue. These auto-antibodies cause inflammation, pain, and damage in various parts of the body. Lupus is also a disease of remissions (flare ups) whereby the symptoms worsen and you feel ill and remissions (the symptoms improve and you feel better) but the disease remains. So your goal is to keep the disease as best as possible in remissions. Lupus is not contagious, not even through sexual contact. You cannot “catch” lupus from someone or “give” lupus to someone. Lupus is not like or related to cancer. Cancer is a condition of malignant, abnormal tissues that grow rapidly and spread into surrounding tissues. Lupus is an autoimmune disease, as described above. However, some treatments for lupus may include immunosuppressant drugs that are also used in chemotherapy. Lupus is not like or related to HIV (Human Immune Deficiency Virus) or AIDS (Acquired Immune Deficiency Syndrome) except that they both affect the immune system (but differently) in having remissions and exacerbations, that’s it. In HIV or AIDS the immune system is underactive; whereas in lupus, the immune system is overactive. Lupus can range from mild to life-threatening and should always be treated by a doctor. With good medical care, most people with lupus can lead a full life. Another factor in helping you reach remission is being compliant with the taking the meds ordered by your doctor. Our research estimates that at least 1.5 million Americans have lupus. The actual number may be higher; however, there have been no large-scale studies to show the actual number of people in the U.S. living with lupus. More than 16,000 new cases of lupus are reported annually across the country. It is believed that 5 million people throughout the world have a form of lupus. Lupus strikes mostly women of childbearing age (15-44). However, men, children, and teenagers develop lupus, too. Most people with lupus develop the disease between the ages of 15-44. Women of color are two to three times more likely to develop lupus than Caucasians. People of all races and ethnic groups can develop lupus. The cause(s) of SLE are unknown, however, heredity, viruses, ultraviolet light, and drugs all may play some role. 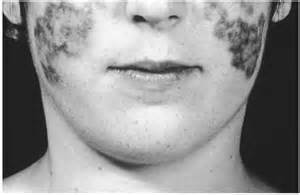 -**butterfly rash on the face – very common symptom with a flare up. Along with -appetite loss –hair loss –fever –fatigue –photosensitivity -Raynaud’s phenomenon –pleuritis and -pericarditis. Up to 10% of people with lupus isolated to the skin will develop the systemic form of lupus (SLE). 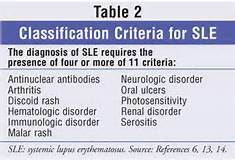 Eleven criteria help doctors to diagnose SLE (picture at the top lists the eleven criteria). Stayed tune for part II tomorrow on how its diagnosed and the treatment! Joel Fuhrman M.D. (born December 2, 1953), is an American board-certified family physician who specializes in nutrition-based treatments for obesity and chronic disease.